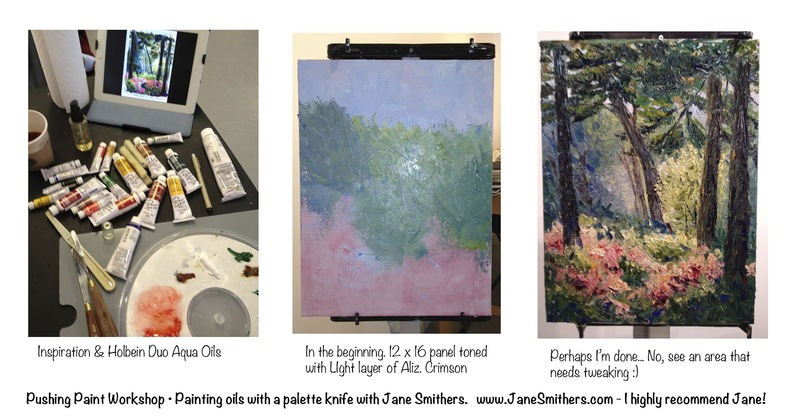 Two weeks ago I took part in a Jane Smithers oil painting workshop. We used only a palette knife to apply paint to our substrates. I've not painted with oils since college and this time around chose Holbein's duo aqua oils as I want to not get involved with the chemicals and odors of traditional oil paints. 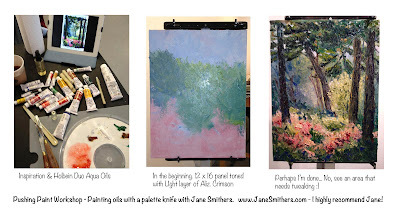 I found them easy to work with but my biggest surprise during this workshop was the lack of odor from the traditional oil paints that everyone else was using. This was due in part because it's wasn't necessary to use mineral spirits or turpenoid for cleanup! Our workshop instructor enlightened us with the use of Wet Ones to clean the palette knife! All in all, palette knife painting has two big pluses. Very easy cleanup and it forces you to stay loose. However, there is a learning curve of how to apply paint with the knife. It's rather like leaning how to write with traditional calligraphy tools. My painting technique used in the above image really didn't take advantage of all the effects a knife can create, but I sure do have the urge for more exploration! Thank you, Jane! You are a great teacher! It sounds like it would be hard, Pam, but I love what you created here! I hope you continue to experiment with this process. Thanks for stopping by, Kate! A bit of a challenge but sure fun! Beautiful work! Especially if you haven't used oils for so long. 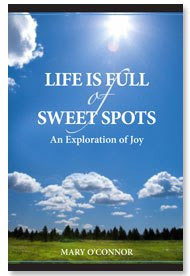 I'm looking forward to seeing a picture of that beautiful old oak view in your back yard. Thank you for sharing these views of the Lowcountry through your talented eyes.